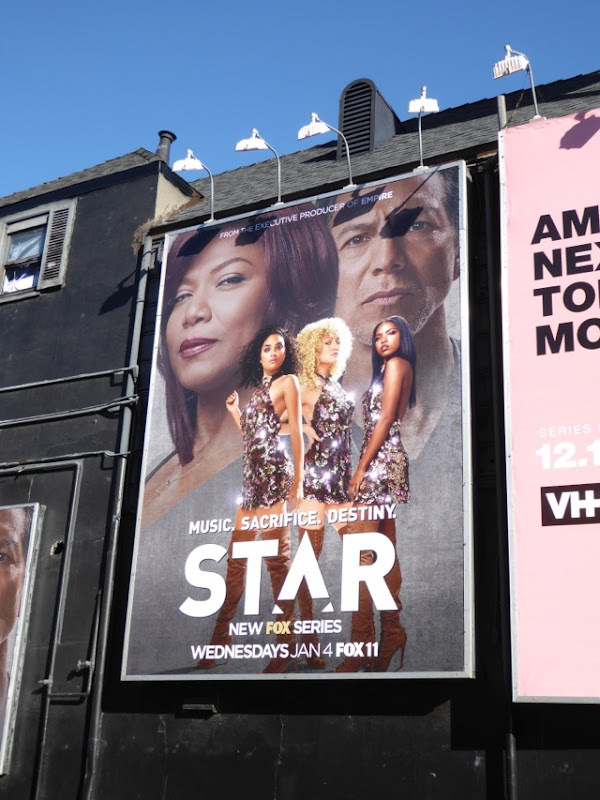 This New Year Lee Daniels expands his TV 'Empire' on Fox with the help of Tom Donaghy for their new cut-throat showbiz series, Star. 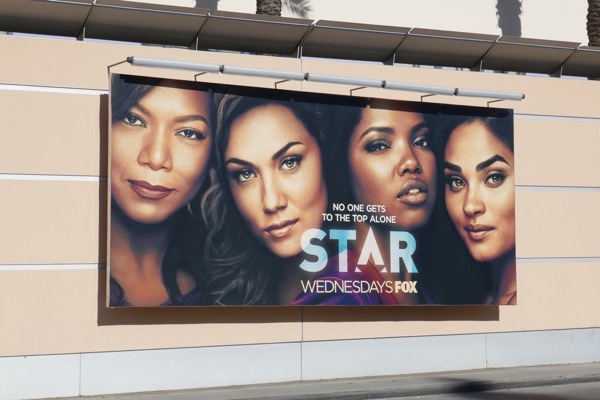 Jude Demorest is the titular 'Star' who grew up in the foster care system and who'll do anything to achieve her music dreams alongside her sister 'Simone' (Brittany O'Grady) and her BFF 'Alexandra' (Ryan Destiny) in Atlanta, with the help of her beauty salon-owning surrogate mother played by Queen Latifah and a sleazy drug-addicted talent agent looking for a career rebound, Benjamin Bratt. 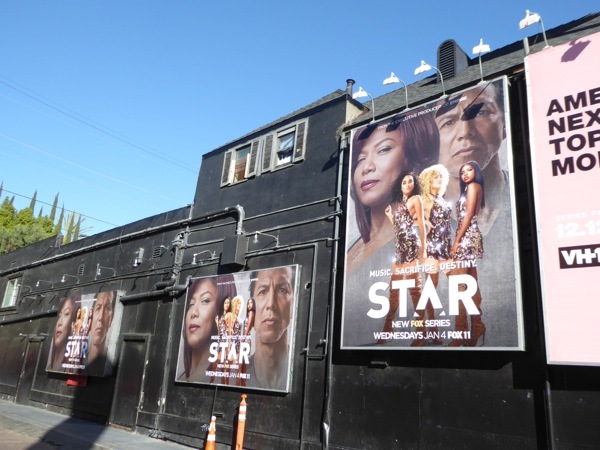 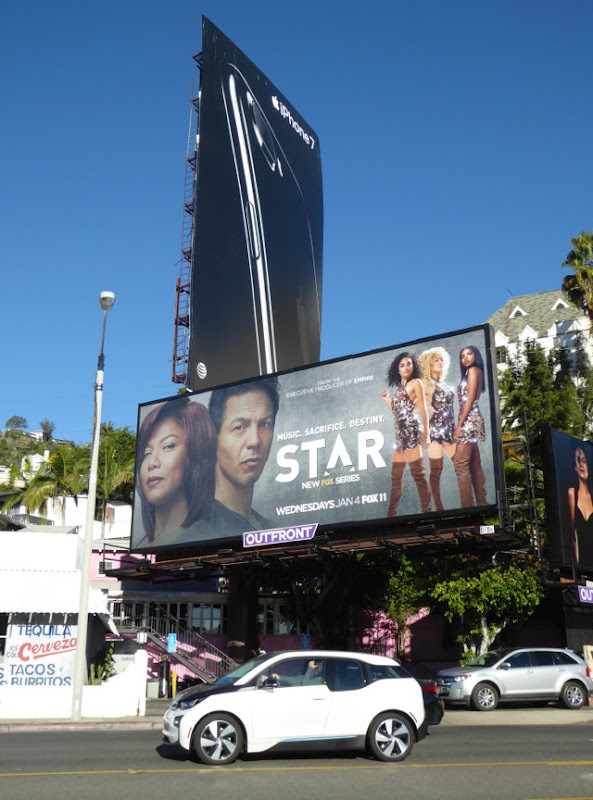 These Star series launch billboards and street posters were snapped along the Sunset Strip, San Vicente Boulevard and La Brea Avenue from November 30 to December 29, 2016. 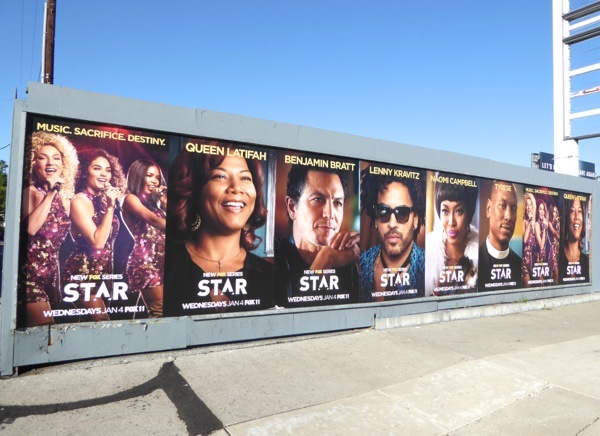 Fans of Queen Latifah can also check her out in these Bessie movie billboards, this Steel Magnolias Lifetime remake billboard and these billboards for The Wiz Live. 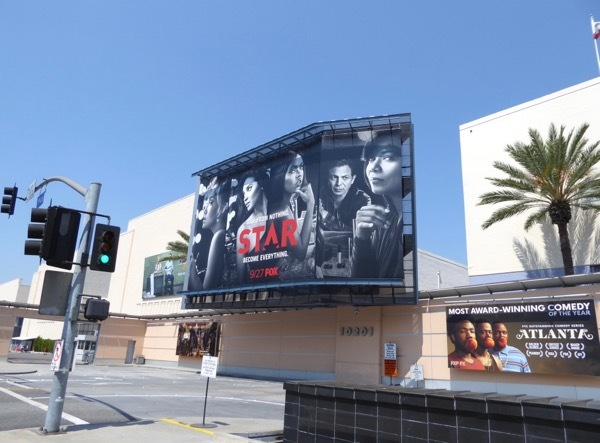 Only time will tell how meteoric a rise this Star will have and how brightly it will shine this Winter TV season. 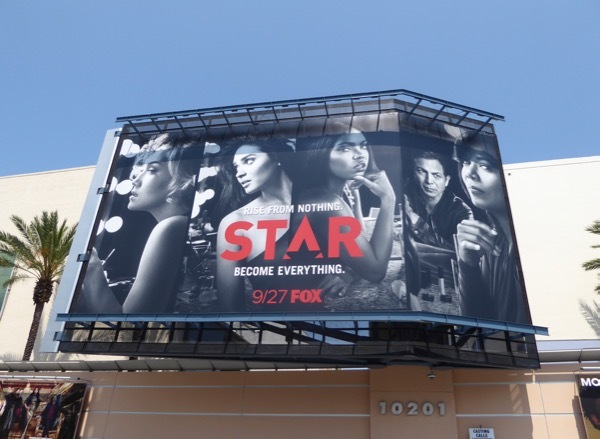 UPDATED: Star will return to shine for another season on Fox and here's a giant sophomore season billboard on the side of L.A.'s Fox Studios along Pico Boulevard on August 5, 2017. 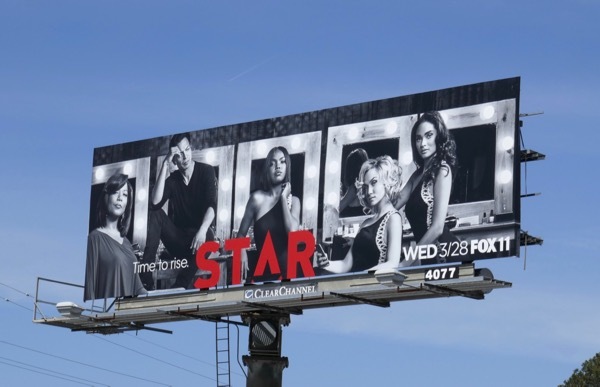 This season Paris Jackson will return for a multi-episode arc as 'Rachel Wells', plus expect crossovers with sister soapy music drama, Empire. 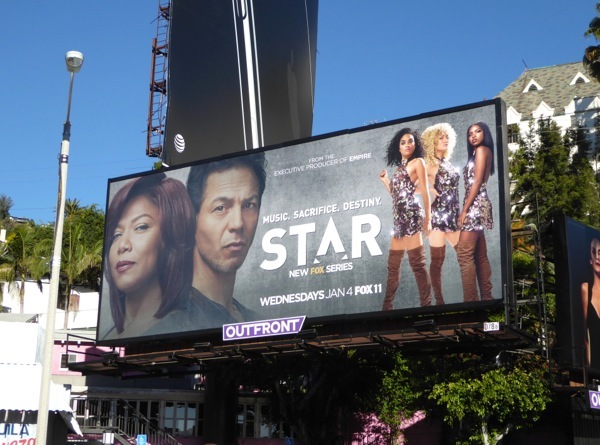 UPDATED: Star returned with all-new episodes for its second season on March 28, 2018 in the U.S. 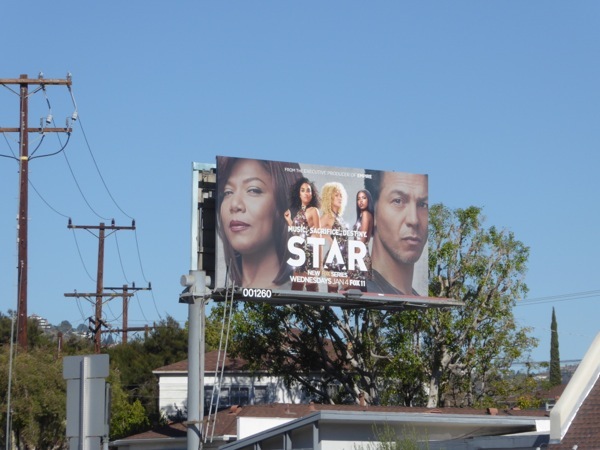 This midseason billboard for the music business show was snapped along Pico Boulevard on April 8, 2018. 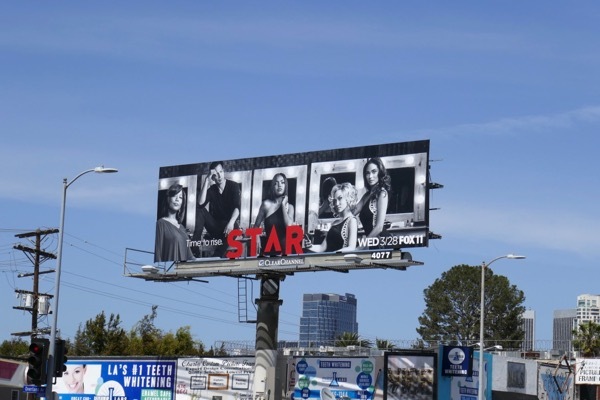 UPDATED: Here's also a season three billboard for Star spied at L.A.'s Fox Studios on November 26, 2018.